For a long time now, you’ve heard the outcries. The Yankees are too old, they need to get younger. While some of this may be true, who secured the first win of the season last night? Who pitched deep into the game to preserve the bullpen? Who came in to close the door? In an uncertain season, only two things are for certain. 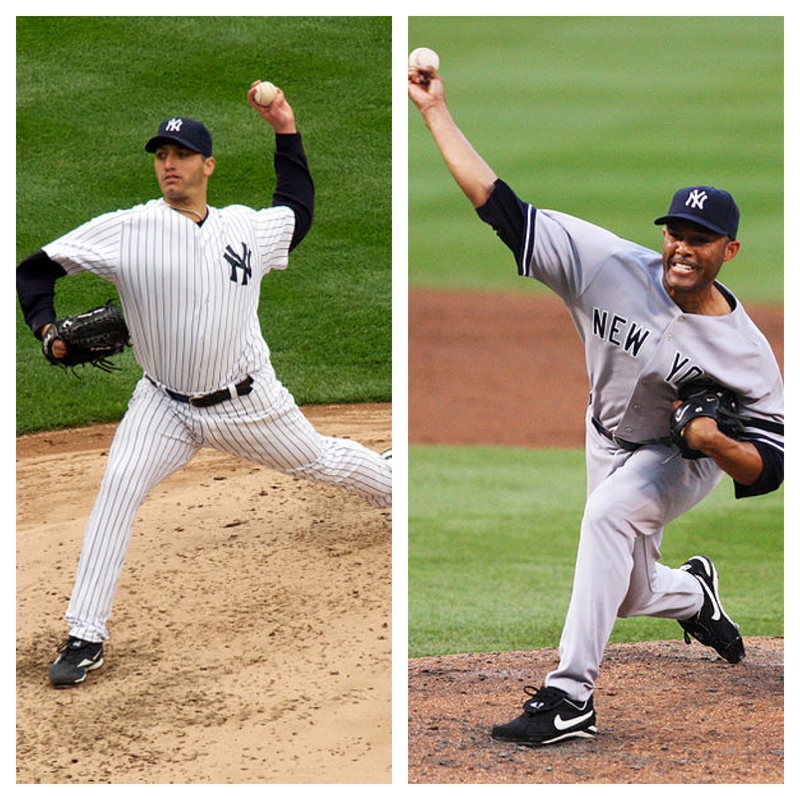 Pettitte and Rivera will always give you a chance to win. For a record 69th time, the greatest closer in history converted a save for the greatest postseason pitcher in history (who just happens to be the oldest starter in the majors this year). The two, whose combined age is 83, will have one last go around with each other in 2013. Mo is set to retire after the season, while Pettitte, like he has for the past five or so seasons, will play things by ear. Last night called for Andy Pettitte. It screamed for him. Following two losses to open the season, at home no less, fans already had their fingers hovering over the panic button. But who else on this team would you rather have on the mound following a loss? Pettitte is a notorious stopper. Former manager Joe Torre would always start him in Game 2 of a playoff series, just in case the team faltered in Game 1. Pettitte grinds. Admittedly, he has said that nothing pitching wise has ever come easy to him, and it shows. The intensity and focus on every pitch is what makes Pettitte great. His ability to escape out of any jam provides big lifts to his team, evident by his three important double plays last night. On Monday, CC Sabathia could only go five innings. On Wednesday, Hiroki Kuroda lasted just 1.1 innings. The Yankees needed depth, and Pettitte went 8 and handed the ball over to Rivera. Rivera is in his swan song. Immediately upon entering the game last night, the crowd sprung to life, capturing photos of living greatness. Although Rivera gave up an uncharacteristic run, walk and a hit, he closed the door without any more damage. In what may best describe the night, and possibly the season, Rivera froze rookie sensation Jackie Bradley Jr. on a backdoor cutter which ended the game and preserved a Yankee win. Rivera is 21 years older than Bradley. Experience will beat youth every time. Remember last year when Bryce Harper looked lost against Pettitte? This Yankee season will depend on pitching and veteran leadership. Last night, we saw both at it’s best.